Sarah Pickard est anglaise. Née en Angleterre, elle y a commencé ses études supérieures pour les poursuivre en France, à l’Université de Sorbonne Nouvelle, où elle est maintenant maître de conférences et chercheuse en civilisation britannique contemporaine (Contemporary British Studies). Sarah Pickard est également titulaire d’un doctorat en Civilisation Britannique intitulé « La jeunesse en Grande Bretagne 1944-1964 : vers une politique de la jeunesse? » (2000), sous la direction de Madame Monica Charlot. Elle est par ailleurs membre du Centre de Recherches en Civilisation Britannique / Centre for Research on the English-speaking World (CREC/CREW), EA 4399, Institut du Monde Anglophone, Université Sorbonne Nouvelle. La jeunesse britannique (youth policy, youth issues, youth politics, youth vote, youth culture) est son domaine de recherche. 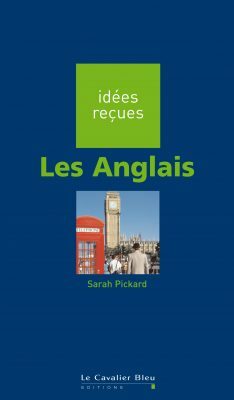 Livres Sarah Pickard, Civilisation Britannique-British Civilisation (bilingue), Paris, Pocket, Collection Langues pour tous, (2003), 10e édition révisée, 2015. Sarah Pickard, Les Phénomènes sociaux en Grande-Bretagne aujourd’hui, Paris, Ellipses, 2009. Sarah Pickard, Les Anglais, Paris, Cavalier Bleu, 2007. Sarah Pickard (dir. ), Anti-Social Behaviour in Britain: Victorian and Contemporary Perspectives. Basingstoke, Palgrave Macmillan, 2014. Sarah Pickard (dir.). Higher Education in the UK and the US. Converging models in a global academic world? Book series: Youth in a Globalizing World (YGW). Leiden/Boston, Brill, 2014. Sarah Pickard et al. (dir. ), Les politiques de jeunesse au Royaume-Uni et en France : désaffection, répression et accompagnement à la citoyenneté, Paris, Presses de la Sorbonne Nouvelle (PSN), 2012. « Mobilising the youth vote through social media: young people and the 2015 British General Election ». Study day on British 2015 general election, Sorbonne Nouvelle, Paris, France, 12-13 juin 2015.« The problems and pleasures of political resistance for young people in contemporary Britain». Panel: ‘Young People and Politics: dangers and pleasures ‘ Joint Session on young people, politics and resistance. Journal of Youth Studies Conference, ‘Contemporary Youth, Contemporary Risks’ Copenhagen, Denmark, 30 mars-1 avril 2015. http://jysc2015.org « Les Beatles et la naissance de la culture des jeunes en Grande-Bretagne ». One day conference: ‘The Beatles : approches historiques, sociologiques et musicologiques’, Département de musique, Université d’Evry, Evry, France, 6 novembre 2014. « Austerity and the University in Britain ». Workshop session ‘Youth in Austerity’, Research Committee on Sociology of Youth RC34, ISA – International Sociology Association World Congress of Sociology, ‘Facing an Unequal World: Challenges for Global Sociology’, 2014, Yokohama, Japon, 13-19 juillet 2014. « Divided and Ruined: The Failed Student Protests In Great Britain ». Workshop session ‘Youth and Social Movements’, Joint session: Research Committee on Sociology of Youth RC34 & Research Committee on Social Classes and Social Movements RC47, ISA – International Sociology Association World Congress of Sociology, ‘Facing an Unequal World: Challenges for Global Sociology’, 2014, Yokohama, Japon, 13-19 juillet 2014. « The Nature of environmental activism among young people in Britain ». Colloque international, Political Ecology and Environmentalism in Britain, organisé par ACE, EA 1796, Université de Rennes, Rennes, 27 septembre 2013. « Productive Protest? The contested higher education reforms in England (2010-2012) ». Colloque international, Contested Democracy, organisé par CREW, EA 4399, Université Sorbonne Nouvelle, Paris, 20-22 septembre 2012. « Higher Education Policy and Popular Protest in England and France in the Twenty-first Century) ». Congres annuel 2012 du BERA (British Education Research Association), Manchester University, Manchester, Angleterre, 4-6 septembre 2012. « The democratisation of higher education in England and France: greater and wider participation? ». Mass higher education, employment opportunities, and youth’ workshop, Research Committee on Sociology of Youth RC34, ISA (International Sociology Association) Forum of Sociology, 2012, Buenos Aires, Argentine, 1-4 août 2012. « Democratic participation, social justice and access to university in England and France: to select or not to select? ». ‘Expansion of Opportunities’ workshop, Research Committee on Sociology of Education RC04, l’ISA – International Sociology Association Forum of Sociology, 2012, Buenos Aires, Argentine, 1-4 août 2012. « Nothing Exchanged, Nothing Gained: Electoral exchange between politicians and young voters in the 2010 general election in the UK », Colloque international Echange(s) : concepts, enjeux et dynamiques – Exchange(s): Concepts, stakes and dynamics, organisé par le département LEA l’Université de la Sorbonne Nouvelle, Paris, 18-19 novembre 2011. « University Tuition Fees in England: Antisocial behaviour from politicians, protestors and the police? ». Atelier du Crécib : Antisocial behaviour, au Congrès de la SAES, Paris, 20 mai 2011. « Solidarity or Individuality? Popular Protest on Higher Education Policy in England and France ». 16e congrès Alternative Futures and Popular Protest, Manchester Metropolitan University, 18-21 avril 2011. « Transitions, Horizons and Connexions: social exclusion policy and young people in Great Britain ». Atelier du CRECIB : Horizons et insertion sociale au Royaume-Uni aujourd’hui, au Congrès de la SAES, Lille, 23 mai 2010. « Rebellious Youth, Rebellious Music? Legitimacy, Authenticity and Mods ». Journée d’études sur Legitimacy and Authenticity in Anglo-American popular music, MIMMOC EA3812 (MSHS de Poitiers), Université de Poitiers, 4 mai 2010. « Deliberative Democracy and young people: Citizenship education, a panacea to the democratic deficit? ». Journée d’études sur la Participation et la démocratie délibérative en Grande-Bretagne, du CREC/CREW, Université Sorbonne Nouvelle, décembre 2008. « From Cool Britannia to Blogging: New Labour and youth-orientated governmental communication (1997-2008) ». Journée d’études sur la Communication politique en Grande-Bretagne, du CREC/CREW, Université Sorbonne Nouvelle, février 2008. « Why Generation Y? », New Standpoints, no. 59, Speakeasy Publications, Nathan, January-February 2014. « London’s Burning : Youth riots in London », New Standpoints, No. 51, Speakeasy Publications, Nathan, January-February 2012. « Growing up in Rural Britain », New Standpoints, No. 45, Speakeasy Publications, Nathan, September-October 2010. « British Families Today », New Standpoints, No. 40, Speakeasy Publications, Nathan, April-June 2009.